With extensive experience in the startup world, Ilya Movshovich has established Movshovich Consulting as a platform to help other founders and CEOs of startup companies grow and develop their businesses. Comet Transportation Labs Mentor and Advisor – Comet Transportation Labs stands as a VC fund and incubator investing in and supporting startups in the fields of AI and robotics. Trucker Path VP of Partnerships – Trucker Path is an app that truckers across the country can use to discuss and find the best truck stops, weigh stations, parking, gas prices, and more at the touch of a button. With so much hands on experience, Ilya Movshovich has progressed his career to help other startups as a business consultant for Movshovich Consulting. 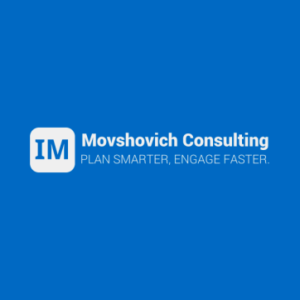 Movshovich Consulting aims to set emerging companies up for success, providing them with the tools and resources they need to grow and excel. Working with companies and business professionals at all stages and experience levels, Ilya Movshovich takes a customized approach with each client, finding the best solution for their individual needs. Using tools and processes that have been tested and used effectively in other startup environments, including his own projects, Ilya helps founders and CEOs discover what works best for them. For Ilya Movshovich, the most important concept of business consulting is putting together a strategic plan and business model that will set a business up for success and growth right out of the gate. Being prepared, organized, and forward thinking will set your business apart from competitors and others trying to grow in the industry.